1. Continue to implement programs effectively 4 - economic development and rapid social economic zone 3 of the province. 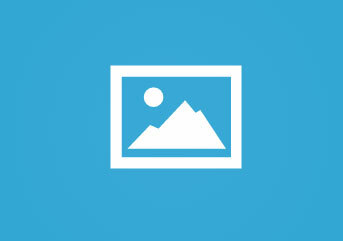 Focus content deployment direction of the Politburo stated in Conclusion No. 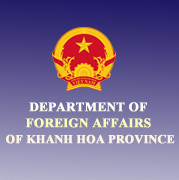 53-KL / TW, the focus is to build, develop Khanh Hoa province soon reach urban criteria centrally, build special zone economy in North Van Phong, the central provinces of the south central region and prosperous provinces of the country. 2. 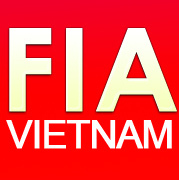 Mobilization and effective use of resources, greatly improve the investment environment, manufacturing, business, create favorable conditions for economic development components, in order to exploit the strengths of economic efficiency sea; coherent development strategy industry and services - tourism economic development with the sea; encourage investment in agricultural development towards commercial production, formation of concentrated production areas, to encourage livestock production towards industrial development of offshore fishing forces with modern investment vehicles and systems logistics services through the sea ... construction program for new rural economic development program - social programs mountainous and other national objectives. 3. 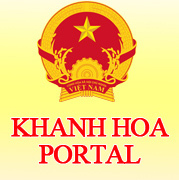 Develop a comprehensive scale education - training; strengthen training to improve the quality of human resources to meet the requirements of economic development - economic development of the province; consolidate and develop the network of vocational training institutions, professional schools, colleges, universities, firstly forming apparatus organization Khanh Hoa University to come into operation soon. Capacity care, health protection People; expanding healthcare meet national standards; ensure roadmap Hospital Hospital provinces south central region with medical staff has deep expertise, equipment and facilities of modern healthcare, simultaneously, promote social attraction carnival develop the private hospital system, especially the specialized hospitals. Strengthening the research and application of science - technology; expand cooperation, closely linked between scientific research institutions with businesses in order to promote effective training, research and application in industry, agriculture and services; preferential policies to attract investment in infrastructure, technology for research and application in order to exploit the potential and advantages, especially maritime economy, forest economy, tourism economy; rational use and efficiency of resources, focusing on protecting marine ecosystems, forest and environmental hygiene. 4. Cultural Development - towards a sustainable society, interested in conservation, promotion and development of traditional culture and promote the cultural and historical value. Mounting economic growth with equitable implementation, social progress, first of all create jobs, reduce poverty and improve living standards of material and spiritual People, particularly in ethnic minority areas minority. Take care of policy objects; attention to the elderly, disabled and children with extremely difficult circumstances ... Implementation of gender equality in the fields of social work, continue to implement the national action plan for the advancement of women. 5. Incorporate between economic development - society to strengthen national defense and security on the basis of promoting the resources and potential of the province. Continued effective implementation of the resolutions of the Central Government and resolutions of the Provincial Committee on strengthening the leadership of the Working Party on defense and national security in the new situation. Building a national defense and security associated with the people; Khanh Hoa build a basic defense areas, continuous, solid. Focus on building and development of Changsha district, contributing together firmly safeguard national sovereignty over sea and islands of the country. 6. To promote democracy, improve the effective and efficient operation of the machinery of government at all levels; strengthening institutions direct contact and dialogue with the People. PAR interest, secured most of the State's administrative transactions made on electronic environment, public services are provided online via the Internet at least reach level 4. Focus strengthen the organization, apparatus, building judicial staff levels in a clean and strong. Stepping up the fight, prevent and combat corruption, thrift practice and waste combat; further improve the quality of the inspection and supervision of the inspection, investigation, prosecution, adjudication and settlement of denunciations of corruption; implement effective measures to actively prevent corruption; detected and dealt with severely and lawful for the incident, a corruption scandal. 7. The promotion of democracy and the strength of national unity, caring building Front and mass organizations strong; implement regulations on grassroots democracy, ethnic policy, religion; diversification of methods to gather the People, to promote the role and responsibilities of the Front, the political organizations - social and People's participation in supervision, social criticism and suggestions of building the Party, administration building. 8. 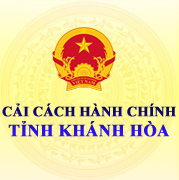 Continue to promote the construction and Party building, leadership capacity building, organized fighting force of the party, the focus is on learning and following the moral example of Ho Chi Minh, tied to real good Central Resolution 4 (XI) in order to create positive change in terms of ideology, morality and responsibility in the work of cadres, party members. To promote the spirit of unity in the whole Party, first in the Executive Committee, the Provincial Standing Committee. Focus on perfecting the political system from provincial to grassroots, building cadres and Party members, especially senior staff at all levels in the province have firm political bravery, good moral qualities, capable capacity and qualifications for leadership, implementation tasks and meet the requirements of the new situation in the coming time.